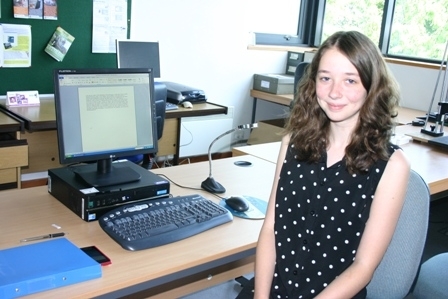 “In my two weeks work experience, I have taken part in a wide range of jobs at Ludlow Museum Resource Centre. These include setting up displays for the new exhibition ‘Every Object Tells a Story’ and researching the objects – one was a mummified cat found in the roof of a house in Ludlow; taking photos of minerals and cataloguing them, and making up museum boxes of interesting objects that will be sent to other places in Shropshire. My work experience has been a great two weeks, full of interesting opportunities and projects. Everyone has been very supportive, and my time here has been great fun”.